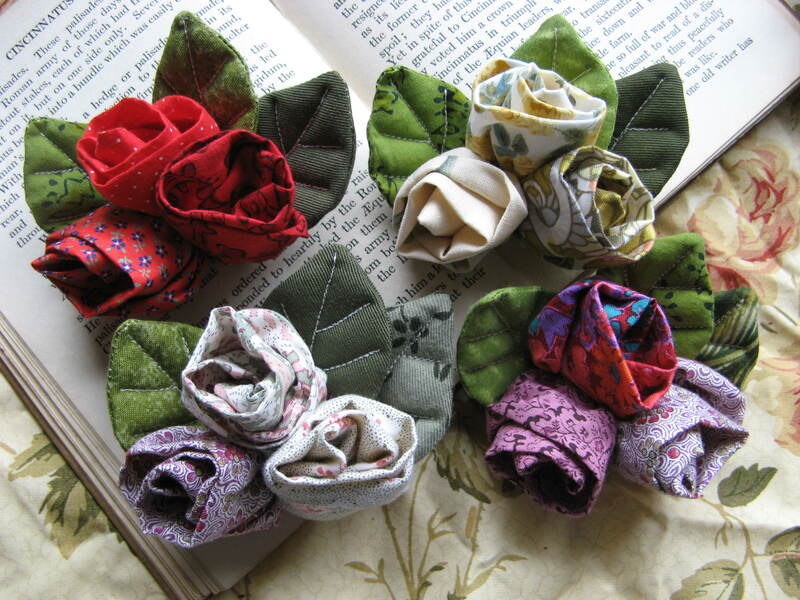 I`ve just spent all afternoon making the leaves for these rosebud corsages. Not the most exciting job, but very satisfying to get them all finished. 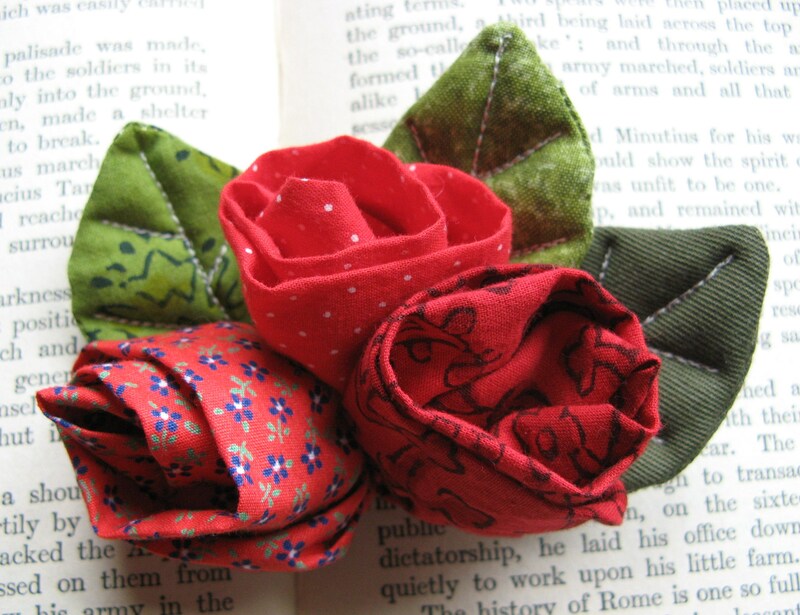 The rosebuds are made from strips of cotton in toning colours and patterns, each one carefully folded and stitched to look as life-like as possible. 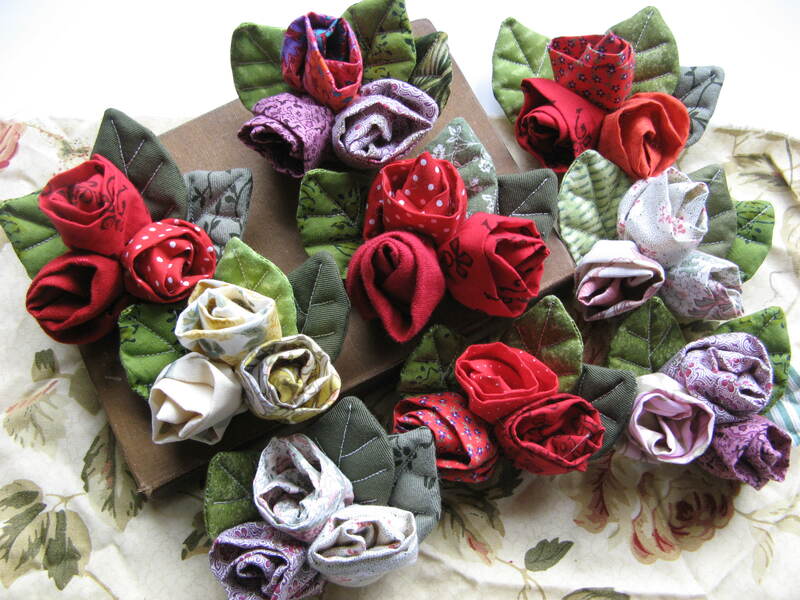 Each corsage has three rosebuds and three quilted leaves. I use mostly vintage cottons, recycling old sheeting, blouses, etc, in fact anything in the right shades. I collect cottons specially for my rosebuds and have bags of reds, pinks, yellows and blues, plus greens for the leaves. I have a wonderful piece of vintage Laura Ashley cotton in leaf green printed with tiny white flowers which is sadly running out, but I found some lovely block-printed Indian cotton in K1 Yarns in Victoria Street, Edinburgh, which is the perfect leaf shade and a good substitute. 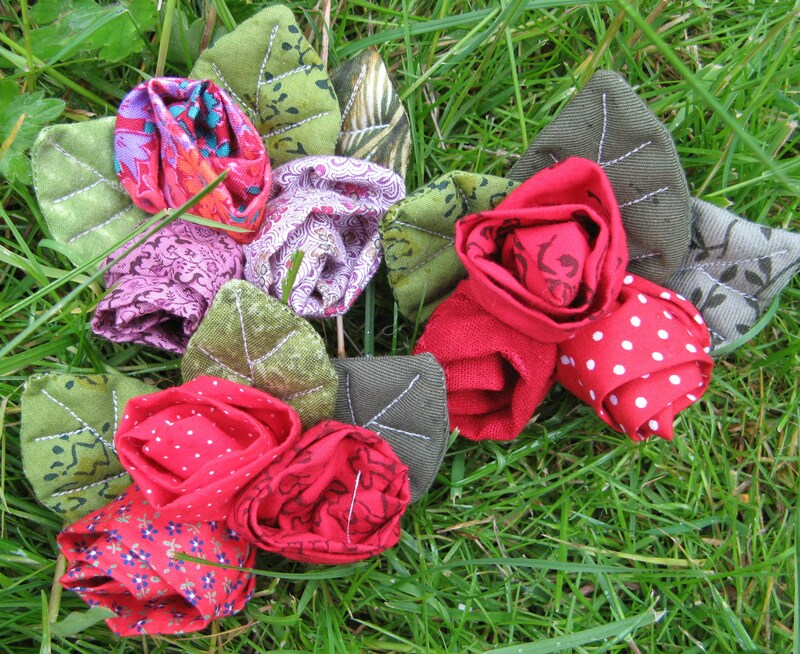 I`ve also recycled some khaki trousers to make some solid coloured leaves. I like mixing florals with polka dots and ginghams in my rosebuds. I`ll sometimes mix in some linens in the right shades for a different texture (like my old, much loved and missed, red linen trousers!). I found a red blouse with tiny white polka dots in a charity shop which is perfect for rosebuds, but that`s nearly running out too. 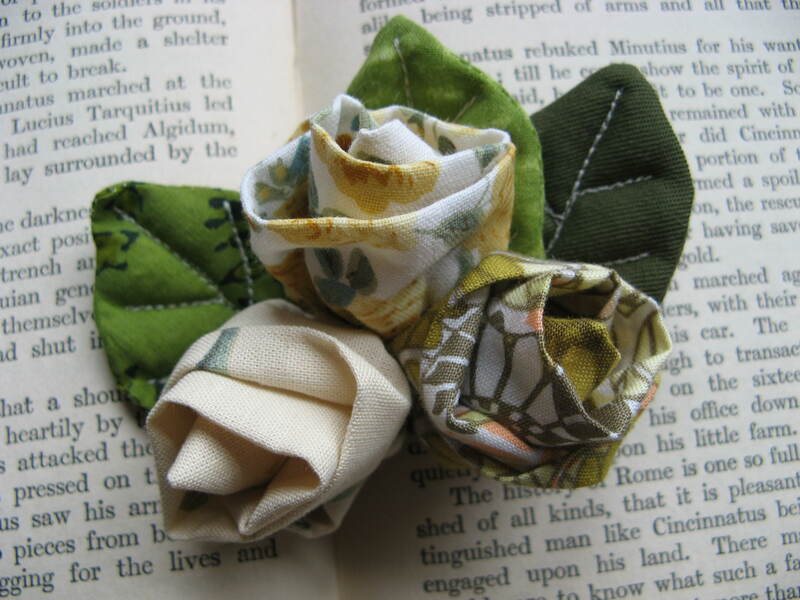 I`ll just have to keep an eye out for more fabric, a good excuse for lots more charity shop rummaging!